In On Writing Well, William Zinsser says that the very best writing has warmth and humanity. “It’s not necessary to spend a year at Walden Pond to become involved with the writer who did,” he wrote. Writing enacts the experience of something—joyous, horrifying, or mundane—with equal grandeur. 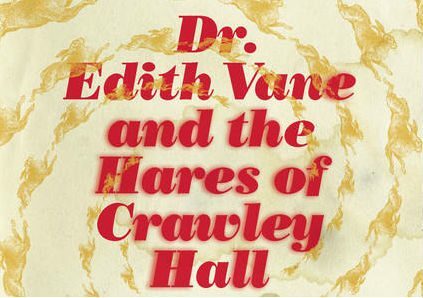 And there are few greater tests of that sentiment than Suzette Mayr’s Dr. Edith Vane and the Hares of Crawley Hall. Put-upon, self-mocking, and hopelessly devoted to books, Dr. Vane is struggling to maintain her position at her university while working towards the publication of her new book. The new university administration is instituting a dystopian-esque regime: “refreshing” professors who lack proper publication credits or voice dissent; forcing faculty into a program with robot therapists; and a dictatorial dean who callously heaps abuse and wages emotional warfare on his employees. Running parallel to this plot is the sinister dark workings of Vane’s supernaturally-sentient campus hall, which seemly wants all the residents of the university gone: maggots are dropping from caving-in ceilings, the grounds are overrun with eerie wild hares, and her few friends are getting sick and dying of strange, sudden illnesses. It’s difficult to sustain the kind of brutality this novel brings to the surface, yet the writing is capacious: it allows joy and dread to exist in equal measure. The reader roots for the protagonist, while being bewitched by her tormentors. And every time the reader needs a break from the constant apocalypse of the university, Mayr throws in a humorous, absurdist bone.